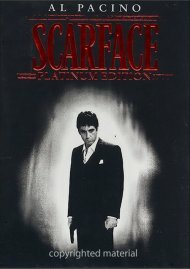 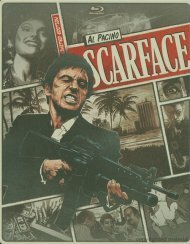 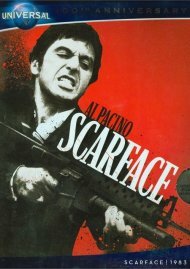 One of the most influential gangster epics of all time, Scarface is the rags-to-riches story of Cuban immigrant Tony "Scarface" Montana, who finds wealth, power and passion beyond his wildest dreams...at a price he never imagined. 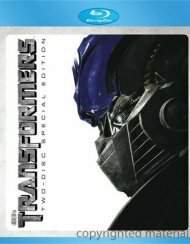 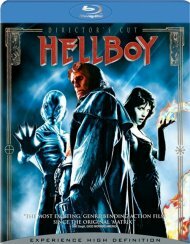 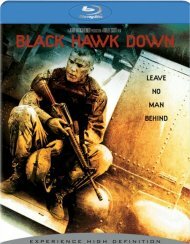 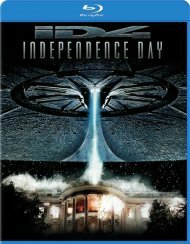 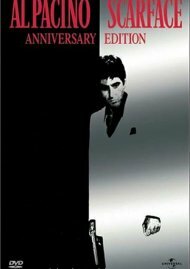 From acclaimed director Brian De Palma (Carlito's Way) and Oscar-winning writer Oliver Stone (Born on the Fourth of July), this action-packed Blu-ray features an eye-popping remastered picture, explosive 7.1 audio track and exclusive bonus features. 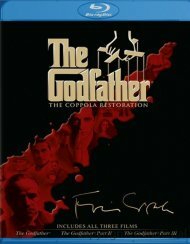 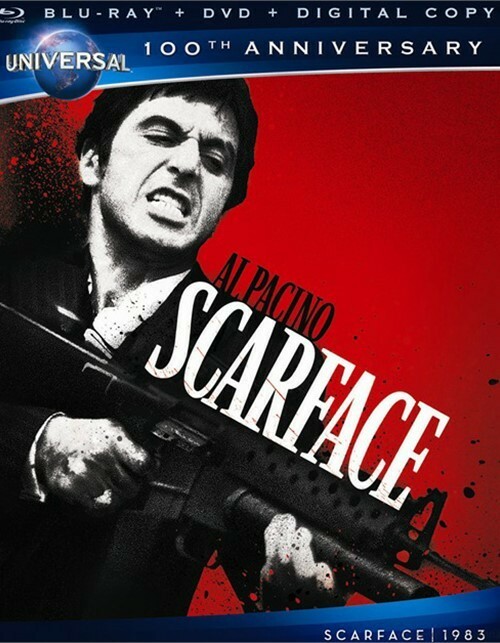 A modern-day classic, Scarface stars Academy Award winner Al Pacino (The Godfather) in an unforgettable performance as one of the most ruthless gangsters ever depicted on film and Academy Award nominee Michelle Pfeiffer (The Fabulous Baker Boys). 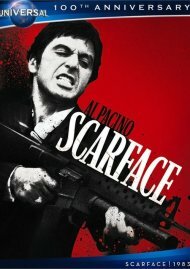 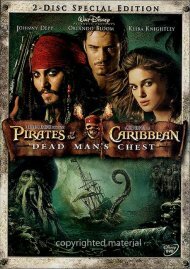 Length 2 hrs. 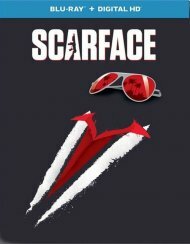 50 mins. 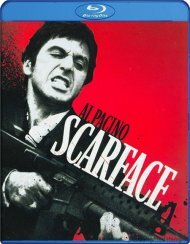 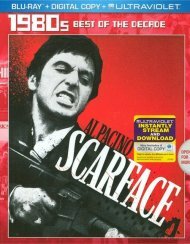 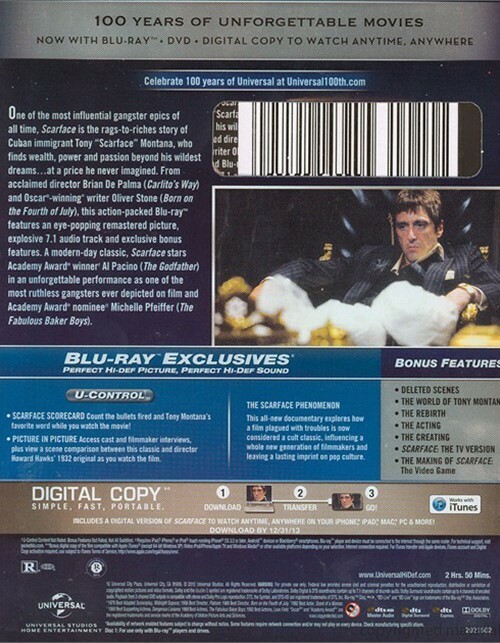 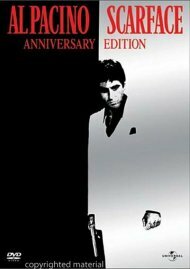 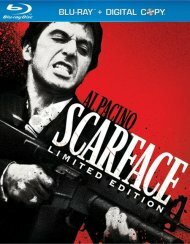 Review "Scarface (Blu-ray + DVD + Digi"
Reviews for "Scarface (Blu-ray + DVD + Digi"